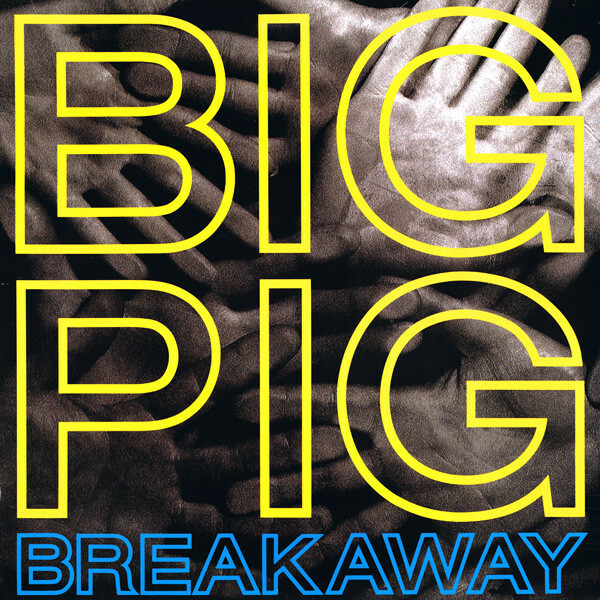 I must have seen Big Pig on MTV at some point, though their US would-be hit, “Breakaway” was never played to the full extent that it deserved. Not by a long shot! I first heard that song and from that point on the album, “Bonk,” was on my radar to purchase. I finally found a copy at Armadillo Records during their big budget days across from the University of Central Florida. From the time when having a record store near a university was still a license to print money. That was 1988, and I enjoyed the CD, but never found any singles from the album in my travels. And I sure would have bought them if they were ever in front of me. As it happened, I only found the US 7″ edit [with non-LP B-side!] on 45 just two years ago at the Harvest Anniversary sale – for a quarter! In 1989 the song probably reached its widest audience as the opening title to the popular “Bill + Ted’s Excellent Adventure” where the industrial blues of the cover song was probably out of touch with the hair metal on the rest of the soundtrack. The band had a great sound: chanted vocals, three drummers, two percussionists, harmonica, and synths. No guitars of any kind were used int he making of that record. When I picked up the CD at Armadillo, proprietor Craig compared it to Eurythmics. Yeah, Eurythmics wished they had made an album this great! Once Annie Lennox took herself seriously as an R+B vocalist, that was it for Eurythmics. They jetted off the rails for “Be Yourself Tonight” in 1985 [the year of many a New Wave shipwreck] and only managed to correct their trajectory [briefly] for the amazing “Savage” album. But that’s a story for another day. Let’s turn our gaze to the Big Pig album. Big Pig were offering a unique take on traditional blues as delivered through a Post-Modern lens. I can’t think of anyone else doing quite the same this and certainly not as effectively! As the aforementioned Eurythmics duly exemplified. “Iron Lung” had all of the world-weary weight of the blues but delivered with a massive, clattering, almost industrial sensibility. Vocalist Sherine sang with grit and an almost maniacal sense of grim determination as the massed drums and chanted backing vocals of the four men in the band who also sang gave her vital support. The vibe was heavy, dense, and oppressive here. 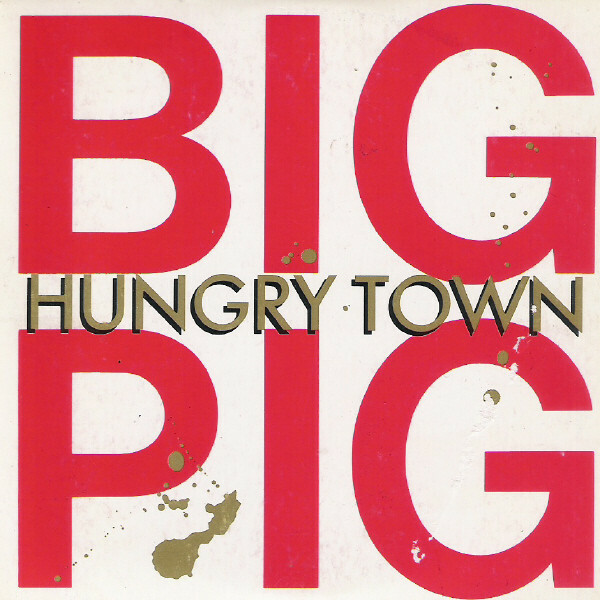 Not so with the following song, “Hungry Town.” This song had a lighter hearted, almost hoedown feel. Yet it retained an intensity that showed how it took even its ability to attain a lighter mood more seriously than most acts did. The marimbas carried the jaunt of the melody here and Sherine duetted with Oleh Witer on the call and response vocals. The harmonica was frisky here, instead of a signifier of weariness as was often the case elsewhere on the album. “I Can’t Break Away” had been a song written by Gary Zekely and Michael Bottler for soul singer Chuck Jackson back in 1973. I’d missed that one as it avoided the tightly programmed Top 40 of my childhood. 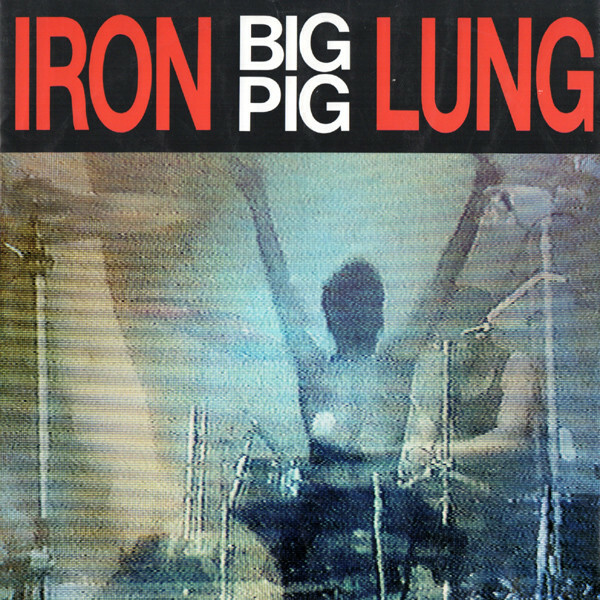 As the only cover here, Big Pig made it count by giving the tune a massive, spine tingling arrangement with thunderdrums tripled out to the max with all of the drummers laying down the complex beat. Meanwhile, the percussionists had treated marimba [or mutated samples thereof] carrying the main chord sequence. Sherine rode the massive wave effortlessly with a commanding vocal that took no prisoners as the almost mythical look at race proved even more potent in the mouth of a Sri Lankan woman. The buildup in the intro with just the marimbas and cymbal crashes was methodical and deliberate. Once the drums entered in force, the song kicked down the barricades and became immense in its scope. My mind was stymied at how this song managed to avoid being a top five hit in at least a third of the major world markets. It is one of the finest singles of the late 80s, though it had scant competition in that lean time. Perhaps it was simply too rich with feeling and intent for that double-breadted period in music. 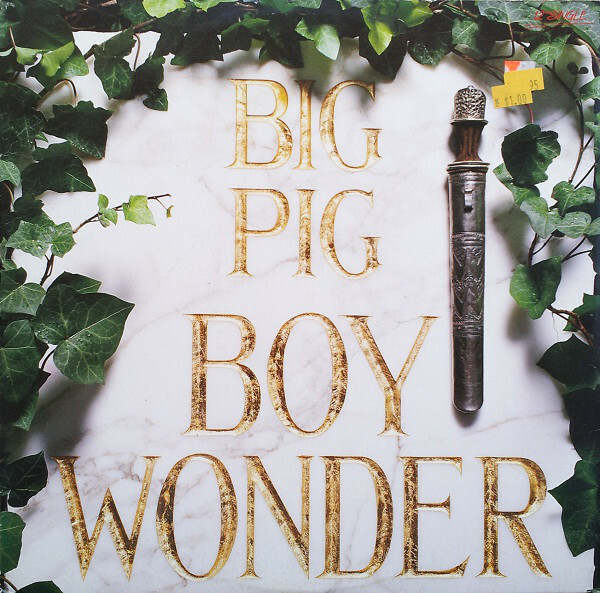 The Antipodean non-LP single “Boy Wonder” was appended to the album in the Northern hemisphere. This song was the odd one out here, with a queasy blend of curdled synths [which I usually enjoy] juxtaposed inharmoniously with samples of a baby crying. If this one was an outlier for the sound of the impossible to find second album, then I guess I’d be fine with not finding a copy. As it was, I only discovered the existence of “You Lucky People” a few years back when trawling Discogs for the breadth of this band’s catalog. 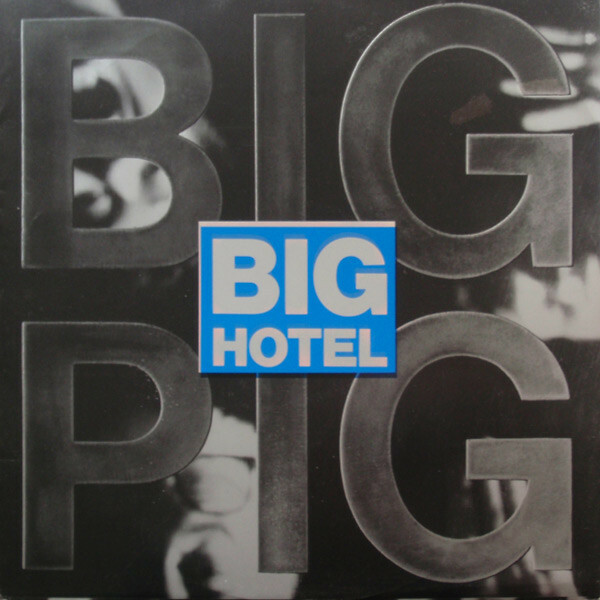 This returned to normal with the Oz/UK single “Big Hotel.” It was more gutbucket blues with too many drums hammering along in unison while Sherine and the harmonica of Tony Antoniades wailed above the din. The lyrics were a perfect précis of the Big Pig approach. The call and response of “Nation” was proof that the vocals of this band could more than compete with their many drums. The closing “Devil’s Song” laid the drums to rest with an intimate, bluesy finale to the album with Sherine and Tim Rosewarne’s keyboards holding things tightly in check at a hot simmer until the middle of the track where the drums and vocals took it all home. 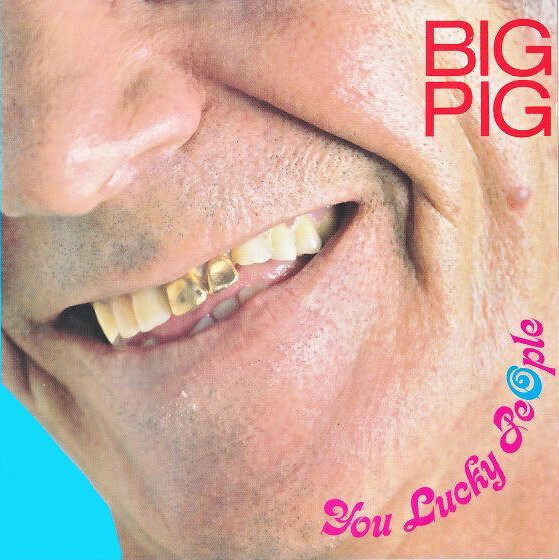 Big Pig were something of an enigma to me. Their album came out of nowhere and seemed to get a big international push only to fail at igniting philistine ears. “Bonk” was released in most major world markets, and in the US there was even a VHS video EP that I bought with the three of the band’s clips on it and “Break Away” in its 12″ mix as a bonus. Starved as I was for more Big Pig, I bought this even though it was on VHS. Usually I was a laserdisc snob. But the band seemed to evaporate within a year leaving no traces. As I said, I’ve never seen even the US 12″ of “Break Away” to buy. The Followup sophomore album as seen at left is just an internet phantom. Thought the genre description of it on Discogs indicates that is was a House record. Oh dear. Maybe I’d better just stick with “Bonk.” It’s held its own for over 30 years now with no signs of strain. 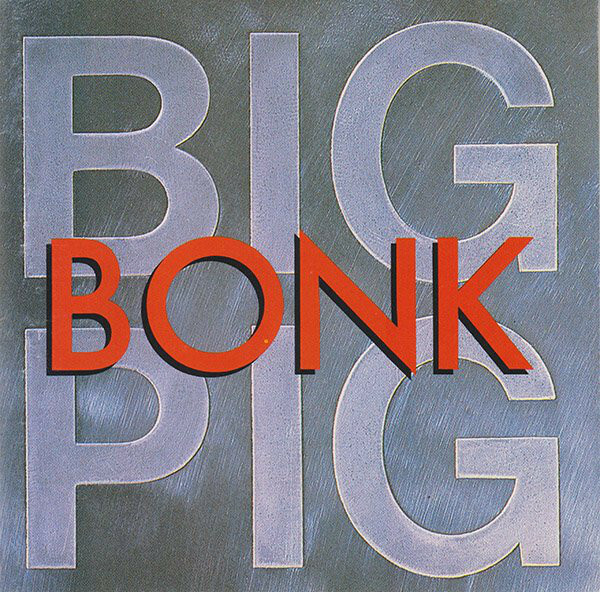 This entry was posted in Record Review and tagged 1988, Australian Rock, Big Pig, Bonk. Bookmark the permalink. Jon Chaisson – It’s just too bad that this would be considered obscure. Here was a band with a strong look and sound. They got a song in the titles of a popular film. Then… crickets. That second album was Oz-only. What a comedown. When Aussie bands were too good and international markets peed their pants! Can remember Breakaway on Miami Vice. I believe Sherine also does bvox on INXS’s Swing album. kelvinhayesglobal – So Sherine is on “The Swing?” [checks] Sonuvagun. The last time I looked at the credits to that one was years before Big Pig manifested! The Oz trend of the early 80s was very real, though. They had the mojo then and took good advantage of the spotlight.